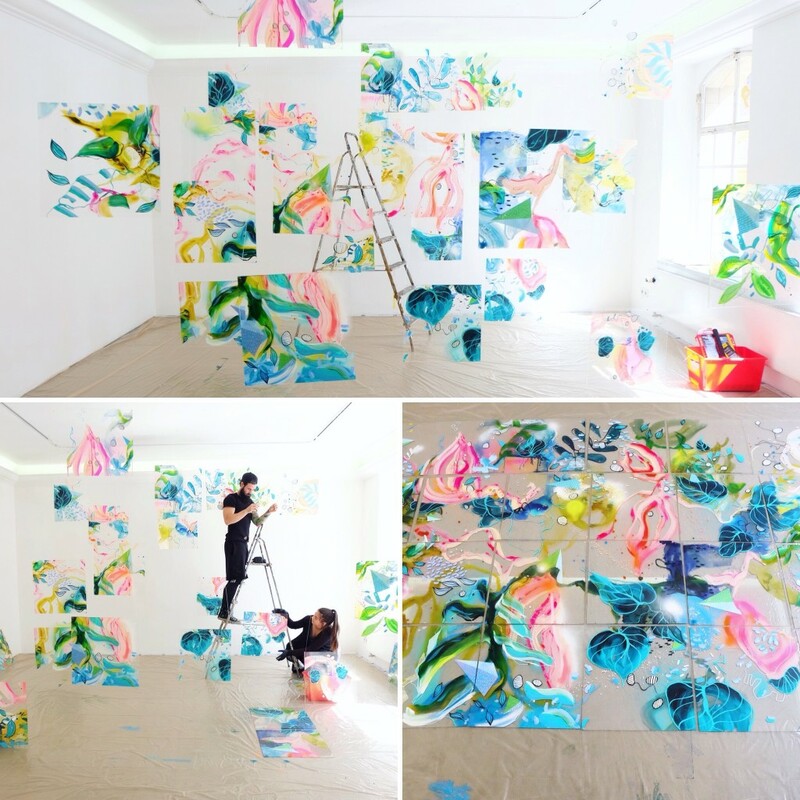 24 plexiglas panels are painted as one image, then being installed in the gallery space, hanging separately from the wall. Only from one position of the viewer in the room, it becomes again an idea of the painting as one piece. Although each single piece of plexiglas has its own value and existence. More about the progress you fine here.